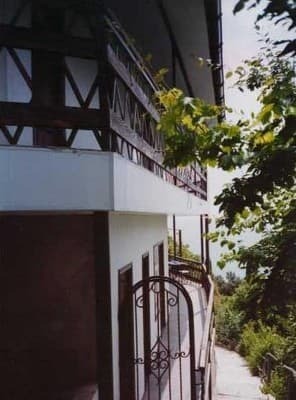 Hotel "Edem" is located in the village of Partenit in the resort center on the southern coast of the Crimea at the foot of the Ayu-Dag mountain. The sea is a 5-minute walk away. Hotel "Edem" is a three-story building. On the first floor of the hotel there are 4 rooms with all amenities. 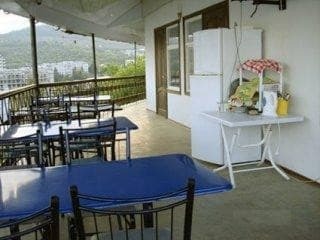 On the second and third floor there are two excellent terraces, furnished with tables and chairs. The terraces have a splendid view of the sea and the Bear Mountain. The hotel has a fully equipped kitchen for self-catering. Near the hotel are located: cafes, restaurants - for every taste, bus station, all kinds of shops, market, church, in 10 min walk there is a dolphinarium, where every holidaymaker can get a lot of pleasure from dolphin performances, there are parks for hiking, an amusement park and there are many more interesting things. PRICES MAY CHANGE, YOU NEED TO RECEIVE INFORMATION FROM THE OPERATOR! 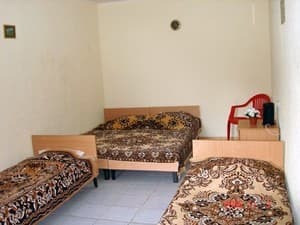 Description of the room: Double room with a double bed or two separate beds. 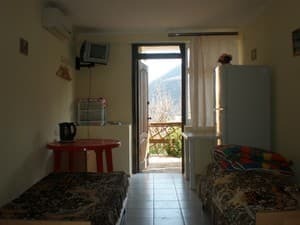 Description of the room: The room has everything you need: beds, bedside tables, table, chairs, dishes, own terrace. Bathroom 1 for 4 rooms. 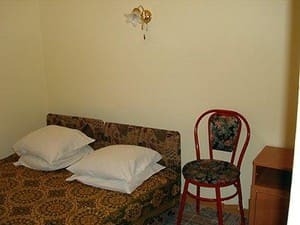 Description of the room: New rooms with euro renovation. 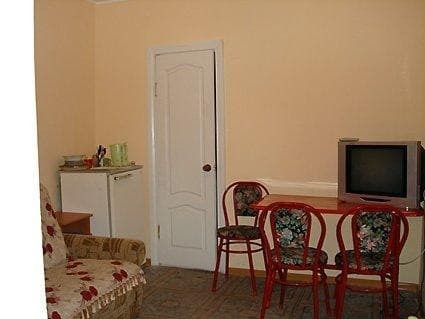 The room has everything you need: furniture, air conditioning, TV. 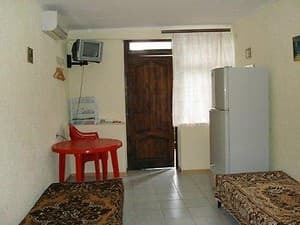 Description of the room: The room has its own entrance and patio. Ideal for a family couples with children. Check arrival: from 12:00 - 13:00 hours. Check leaving: to 12:00 - 13:00 hours. 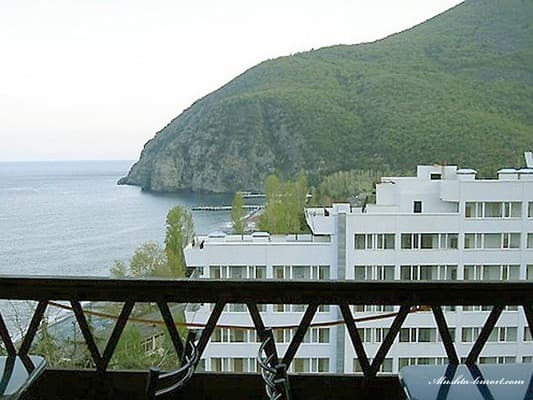 Hotel "Edem" is located in the village of Partenit - a resort center on the southern coast of the Crimea at the foot of the Ayu-Dag mountain. Distance to the sea is -150 m.
From Sevastopol to Partenit can be reached in several ways: - by bus, - by trolley, - by taxi. Partenit can be reached on the Yalta trolleybus both from the airport and from the railway station. station. Before Yalta there is a trolleybus №52, from 5.30 to 20.00, with an interval of 20-30 minutes.